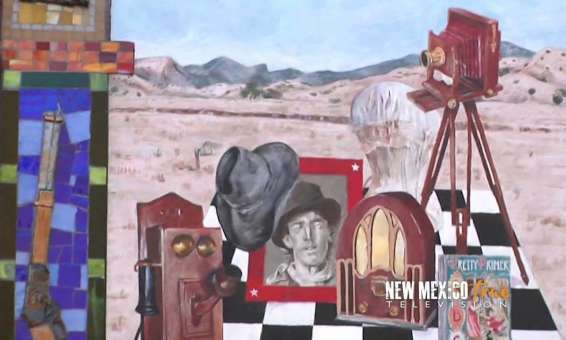 Lordsburg is the birthplace of the official New Mexico State song, O Fair New Mexico. It was written by Lordsburg resident Elizabeth Garrett, the blind daughter of famed sheriff Pat Garrett. In 1917, Governor Washington Ellsworth Lindsey signed the legislation making it the official state song. In 1928, John Philip Sousa presented Governor Arthur T. Hannett and the people of New Mexico an arrangement of the state song embracing a musical story of the Indian, the cavalry, the Spanish and the Mexican. For many years, Lordsburg has been a popular rest stop for people traveling to and from the West Coast by car on Interstate 10 and its precursor highway, U.S. Route 80. At just over 600 miles from Los Angeles, Lordsburg can comfortably be reached by car in less than one day. There are currently twelve motels and hotels located in Lordsburg. Over 300+ rooms are available to guests.